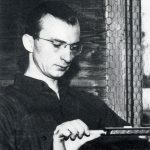 In 1941, Lou Schatz started General Plastics, then a manufacturer of preservative coatings for wood and other organic materials in the Pacific Northwest. This year, as General Plastics celebrates its 75th anniversary, GP President Bruce Lind, is enthusiastic about what the company can accomplish in 2016 and the years to come for our clients and all of the industries we serve. “75 years is a good start for us,” says Lind. “And, 75 years from now, the company will still be going strong.” Such a significant milestone provides the opportunity for reflection as well as renewed ambition. We recognize that both are crucial to continuing the General Plastics legacy. Toward the end of the Great Depression, Schatz, who had a doctorate in chemical engineering and a master’s degree in forestry, entered the preservative business. He learned to make preservative chemicals for wood and fibers as well as fabrics made from wood resins. With this, he developed various materials that he used for coatings, treating products such as fishing nets and fire hoses as well as adhesives for wood. 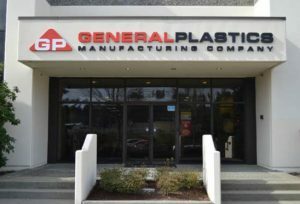 World War II and the emergence of Boeing in Seattle gave Schatz and General Plastics the opportunity to enter the rapidly expanding aerospace industry – the perfect environment for GP to accelerate materials innovation. In 1951, General Plastics introduced flexible and rigid polyurethane foams, known still to this day as the legendary LAST-A-FOAM®. However, post-war recession hit hard. General Plastics, familiar with the travail of starting from scratch, spent this time developing new products outside of the military realm, from kitchen floor coatings to greenhouse plastic. Spreading its influence into various industries from outdoor recreation to automobiles to outer space, General Plastics continued to grow. Fast-forward 75 years, the ideas and innovation first clothed in humble beginnings grew into what General Plastics is today: a global leader and manufacturer of rigid and flexible polyurethane foam and dependable provider of build-to-print parts. 2015 alone was an important year for General Plastics. The team realized scientific breakthroughs in new product development and we continued to see improvements on a quality system that is already at the top of its class. Customer satisfaction as well as manufacturing execution levels also remained consistently high. The more we can immerse ourselves in knowledge of each customer’s industry, the more we can provide meaningful technical solutions and enable them to extend their product offerings with our improvements. We learn to understand our customers on a deeper level – understand not only their needs, but also how they’re using our products to fill those needs. With this knowledge, we can help them use our products in new and more effective ways. At the same time, we’ll continue creating new applications for existing products to add more value for customers. With the rapid pace technology and materials are developed today, it’s easy to fall behind and become as obsolete as a typewriter. It’s vital that General Plastics continues to evolve in order to supply and support ever-changing marketplaces with new products and services. Our products may answer different market needs 20 years from now, but General Plastics is good at recognizing where the market is going and adapting as needed. We’re confident that our focus and the priorities we place in product knowledge, execution, and customer service will always keep us at the forefront of the industry. When employees are engaged in a common vision, customer problems are solved, enabling our mutual success. 75 years is only the beginning of a timeless legacy of quality, innovation, and trust.